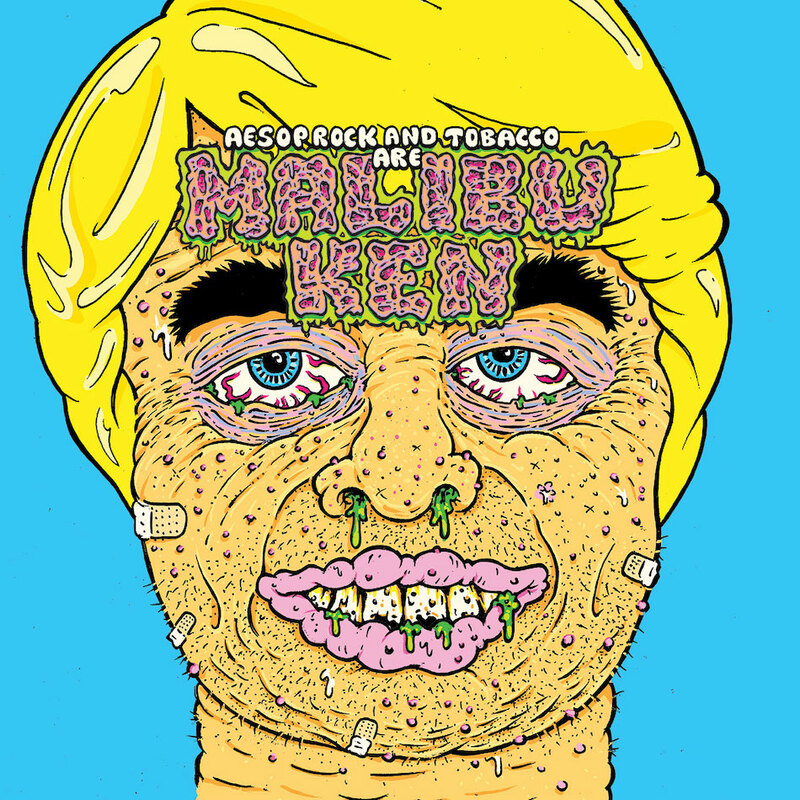 Aesop Rock and TOBACCO are Malibu Ken! Aesop Rock has been credited as one of the most verbose MC’s in Hip-Hop today. Known for his dense and abstract wordplay, he manipulates language to illustrate elaborate stories and difficult concepts with sharp clarity. TOBACCO is also recognized as Black Moth Super Rainbow. Known for working with pre-digital electronic instruments like analog synths and tape machines, he crafts distorted, experimentalist beats that intertwine feelings of tension and anxiety with sensations of bemusement and pleasure. Together, Aesop Rock and TOBACCO are Malibu Ken. The duo have announced a debut self-titled full length due January 18th (via Rhymesayers) and shared a demented animated music video for the psyche-warping first single “Acid King” directed by longtime Aesop collaborator Rob Shaw.